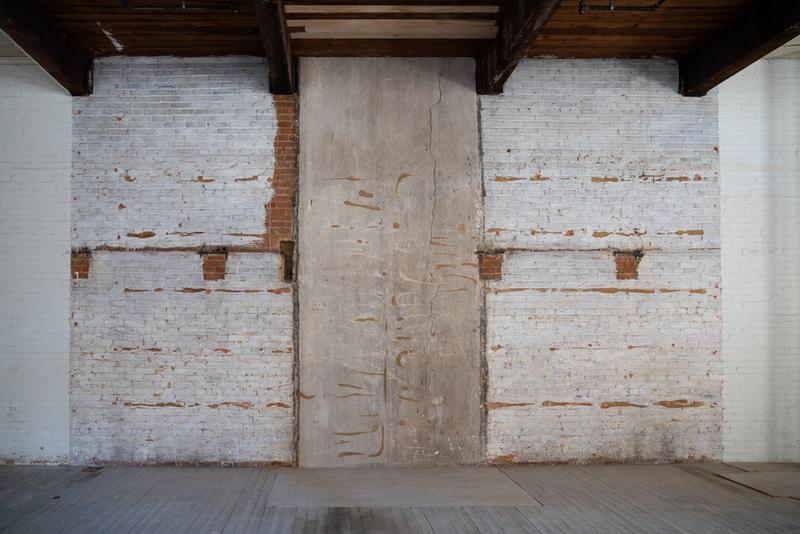 As Wildcat Management—a woman-owned real estate investment company—embarks on the final phase of restoration for the Purse Building, the last pieces of West End's innovative redevelopment are falling into place. 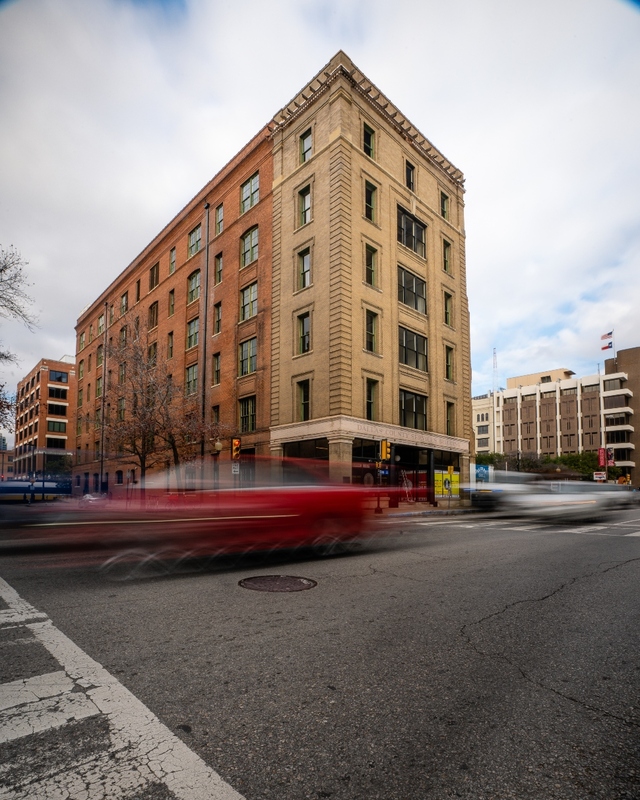 The Purse Building, originally named the The Parlin & Orendorff Building, is among the historic district’s last projects to undergo renovation. Built in 1905 as a farm equipment factory, the approximately 70,000-square-foot commercial facility aims to attract innovative companies relocating from Silicon Valley. 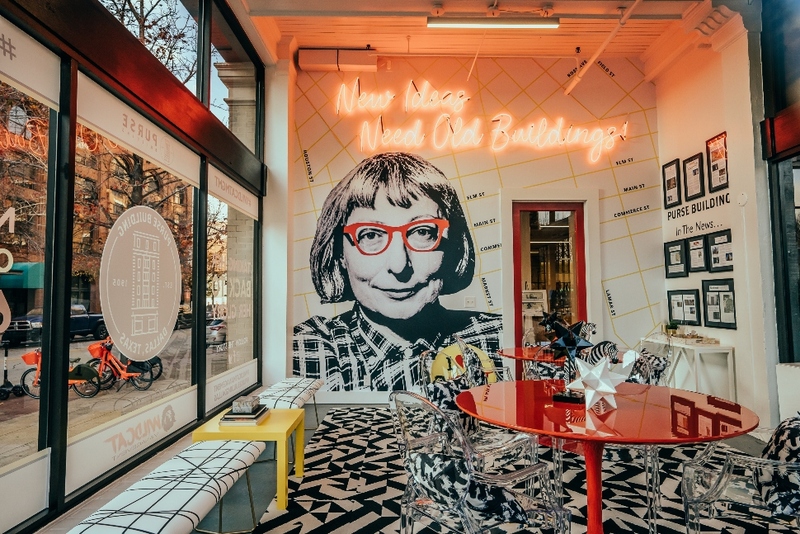 The building’s restoration was inspired by the work of author, urbanist, and activist Jane Jacobs, whose larger-than-life face is printed in the building’s ground floor lounge along with her quotation, “new ideas need old buildings,” says Wildcat Management CEO Tanya Ragan. 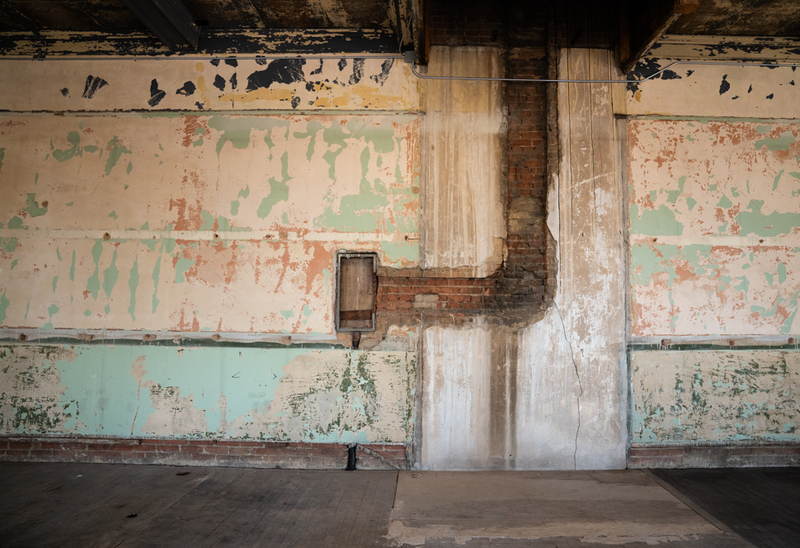 And as the 114-year-old building nears the end of its restoration—completion is set for spring 2020—the final piece of West End’s rebirth is falling into place. 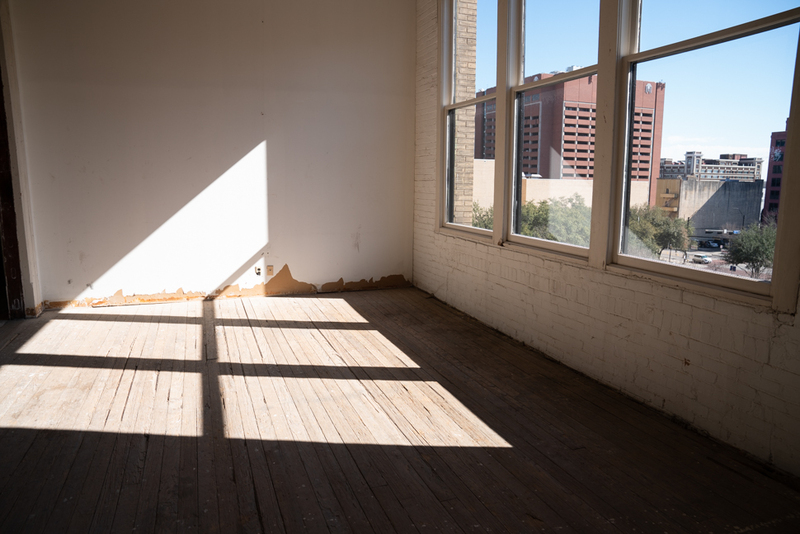 Bought three years ago by Wildcat Management’s Ragan, the Purse Building has now completed its Phase I restoration, a process that included removing old carpet and window shutters, restoring original flooring, and offering tours to prospective tenants. 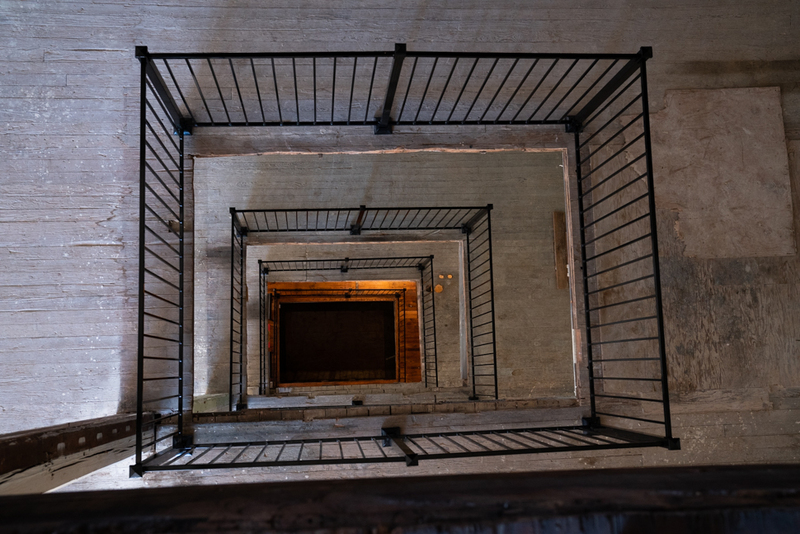 Wildcat Management—a woman-owned, real estate investment, development, and management company—is soon to embark on the final phase of restoration which aims to relocate the building’s elevators, install restrooms on each of the six floors, and prepare the facility for high-tech tenants who are itching to move to West End. More information about the Purse Building can be found online. Images taken by Rebeca Posadas-Nava. 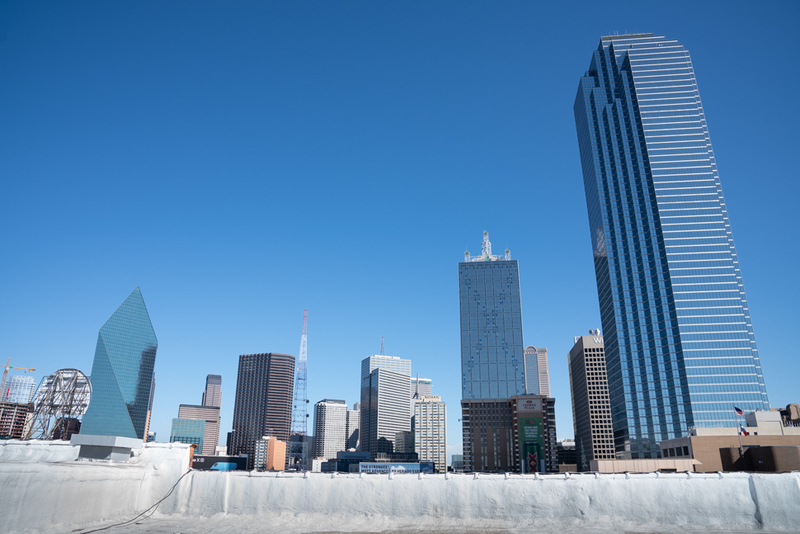 The view from the Purse Building’s rooftop (above) guarantees unobstructed views of Downtown Dallas. Ragan says she envisions designating the rooftop as either an amenity for the building’s tenants or as a private outdoor space for the building’s largest tenant. 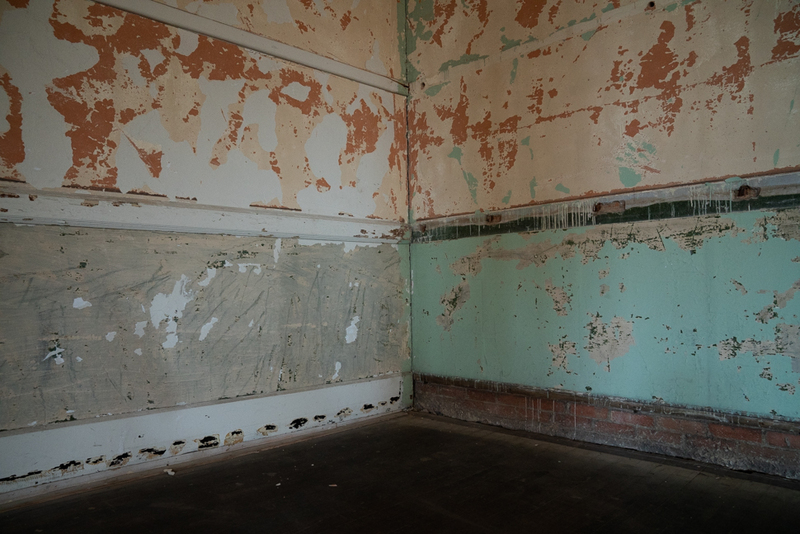 The building sat vacant for 30 years before its 2018 renovation. 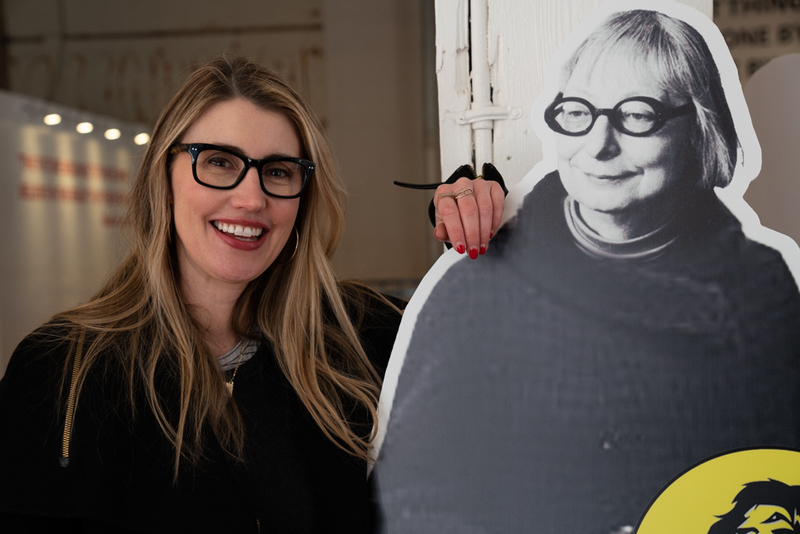 While Ragan aimed to make it a top-of-the-line home for innovation, she preserved many of the building’s original historic aspects, including the original wooden floor boards, windows, and stairwells. “Being able to close Phase 1 and marvel at the original finishing’s from the late 40s has been a major accomplishment. 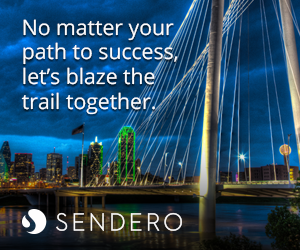 We’re creating an atmosphere that is a fine balance between paying homage to history and being cutting-edge. 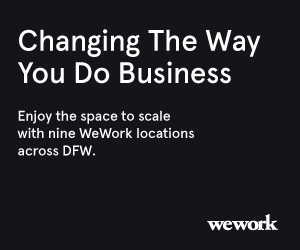 This is not your typical commercial office or retail space,” Ragan said in a statement.